Hi, my name is Ariel Xu! I am a Bilingual English & Chinese Yoga, Mindfulness Teacher, and a licensed Massage Therapist in PA. I am also co-Founder of Yoga Lab. I teach yoga classes for anybody who is interested in learning this ancient Art and Science. I have trained in traditional Hatha and vinyasa flow styles of yoga. In my teachings, I combine functional movement, traditional Yoga postures, Pranayama (Breathing techniques), meditation, and mindfulness to help students release into silence and stillness. The stillness brings us home. It roots us in the universe. For me, the most important practice in life is to discover a way back to our authentic self - To be connected and rooted with the true self and the universe. Then all actions arise from that authentic place effortlessly. I am currently working on my advanced Yoga teacher training certification in the YogaStream style with Lara Heimann. In my free time, I volunteer as a Crisis Counselor and interpreter at Women's Resource Centre. I am always interested in learning and growing with friends and students. I am always a student of life and a student of Chan Buddhism Master Sheng Yan, Zen Buddhism Master Thich Nhat Hanh , Dr. Jon Kabat-Zinn and movement specialist Lara Heimann. Your new favourite Studio Yoga Lab is open! 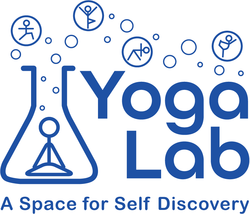 Yoga Lab is a space for self discovery. It is a supportive environment where people can come together to learn and practice yoga, mindfulness and meditation, It is a safe place for people to discover the truth within themselves. We host special events such as movie night, Yoga with Live music, vegan potlucks, conversations, discussions, chanting, workshops, retreats and Yoga and meditation Teacher Trainings. Check out our website for updates. - Swedish Massage, MyoFascia Release, Neuromuscular, Thai Massage, Energy healing, and other Asian healing modalities.